Nice 911 T Coupé with sunroof in Signal Orange. In addition to the electric sunroof (rare), this car has some nice features, such as its striking color and original Fuchs wheels. Matching numbers and matching colors (signal orange). Black original interior (also starting to become rare), nicely restored and ready to be used. 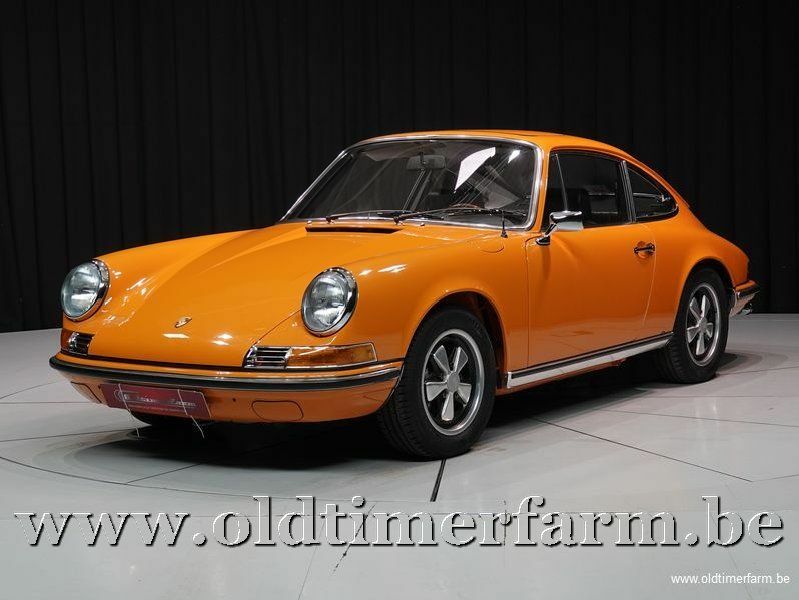 The Porsche 911 (pronounced Nine Eleven or German Neunelf) is the flagship of the current line up of Porsche.. It has a distinctive design, rear-engined and with independent rear suspension, an evolution of the swing axle on the 356. Since its introduction in 1963, it has undergone continuous development, though the basic concept has remained little changed. The engine was air-cooled until the introduction of the Type 996 in 1998. 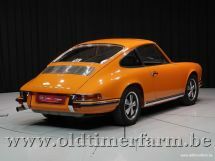 In the 1999 international poll for the award of "Car of the century", the 911 came fifth. It is one of two in the top five that had remained continuously in production (the original Beetle remained in production until 2003), and was until 1998 the most successful surviving application of the air (now-water) cooled opposed rear-engine layout pioneered by its original ancestor, the VW Beetle. It is one of the oldest sports coupe nameplates still in production, and 820,000 had been sold by the car's 50th anniversary in 2013.